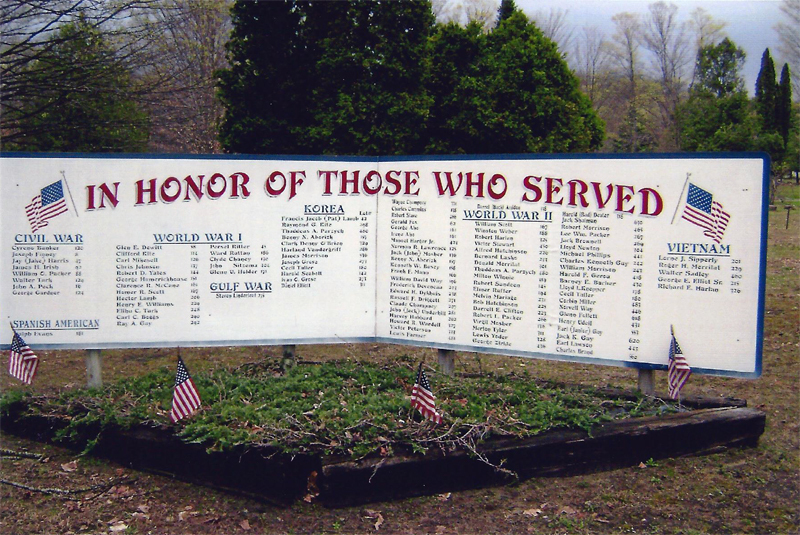 Wood plaque with names of all veterans of wars buried in cemetery by war, Civil War lists eight. One of which is questionable. 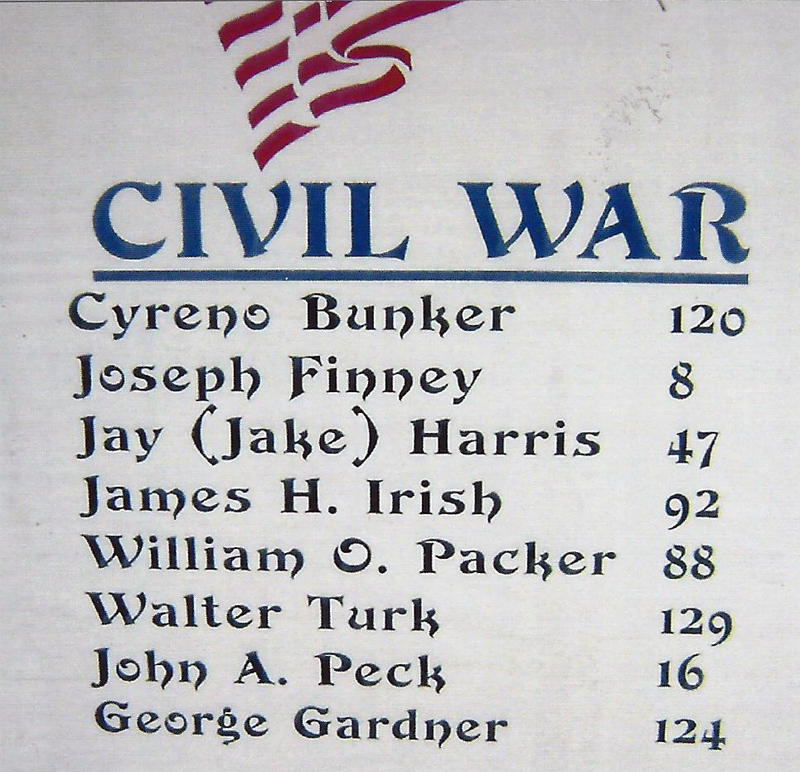 Have not been able to verify George Gardner was a Civil War veteran. The plaque faces west to Gillett Road. Site maintained by Clearwater Township.